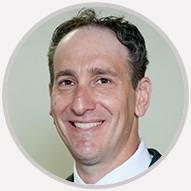 Dr. Richard Ritter is a board-certified orthopedic surgeon with a special interest and expertise in athletic injuries. He specializes in the diagnosis and treatment of knee and shoulder problems, sports injuries, ligament and tendon disorders, fractures and arthritic conditions. Dr. Ritter listened to my symptoms and provided an extremely thorough exam. He explained the possibly reasons for my pain in an easy to understand manner and laid out the next steps clearly and concisely. Highly recommend! Good doctor help my wife with her knee problems.